El apartamento Kaprova es agradable y está muy bien situado en el corazón de Praga, cerca de la plaza del casco antiguo y de la sala de conciertos Rudolfinum en el centro histórico. Este será un excelente punto de partida para explorar la ciudad y usted podrá ir a pie a todos los lugares importantes relacionados con la cultura y el entretenimiento. Su estratégica ubicación en la calle Kaprova es conveniente tanto como punto de partida ideal para pasear o bien para hacer una parada a mitad del día, si desea relajarse y respirar entre las compras, el turismo o la visita a lugares de interés cultural. Por la noche puede ir a pie a algunos de los restaurantes de los alrededores o ir a uno de los numerosos bares. Ambos tipos de establecimientos se encuentran en las proximidades del apartamento Kaprova. 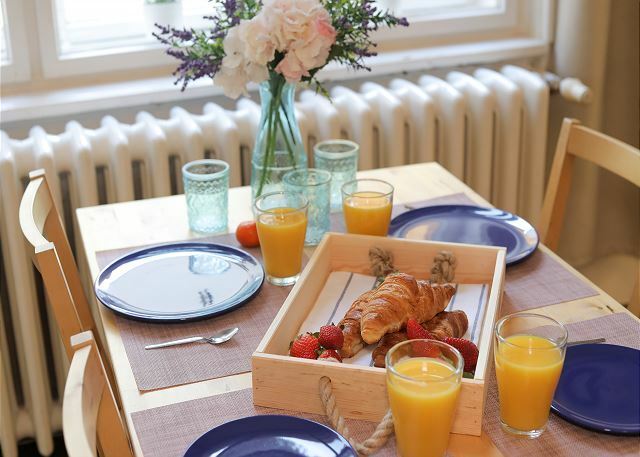 Para aquellos que prefieren pasar más tiempo en su apartamento, Kaprova cuenta con una cocina bien equipada con todo lo necesario (cafetera, horno microondas, tostadora, etc) para preparar el desayuno y otras comidas básicos. El apartamento tiene un dormitorio y un sofá cama en el salón, para un máximo de 5 personas. El apartamento Kaprova puede ser una opción práctica para los grupos más grandes, ya que el apartamento Antiguo es el apartamento Rudolfinum diseñado para un máximo de 3 personas. Naturalmente, hay una conexión a internet de alta velocidad, para aquellos que quieren trabajar o permanecer en contacto con sus amigos. 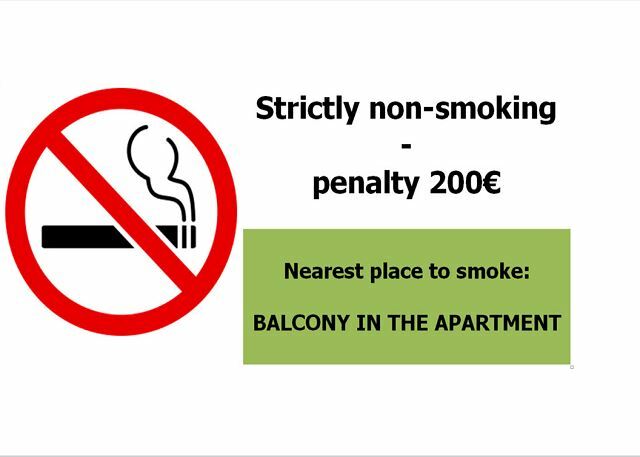 El apartamento es para no fumadores, pero se puede fumar en el balcón. Si quiere tener una idea más clara de este apartamento, eche un vistazo a su agenda (ver "plan" más abajo). 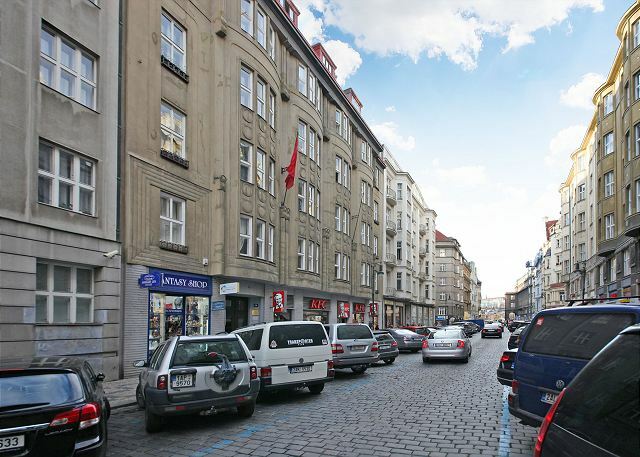 La calle Kaprova, originalmente llamada calle Svatovalentinská, es una de las calles más antiguas de la Plaza de la Ciudad Vieja de Praga y se conectaba con el ferry. Adquirió su nombre actual en la segunda mitad del siglo XVI en honor al alcalde de la Ciudad Vieja: Pablo Kapr Kaprštejna. El apartamento está a sólo unos pasos de uno de los lugares más famosos de Praga en la Plaza de la Ciudad Vieja, el Reloj Astronómico de Praga. Se trata de un reloj astronómico único, construido en el año 1410 por el relojero Mikolas de Kadan y el astrónomo Jan Ondrej. A finales del siglo XV, el trabajo fue perfeccionado por el maestro Hanus de la Rosa. 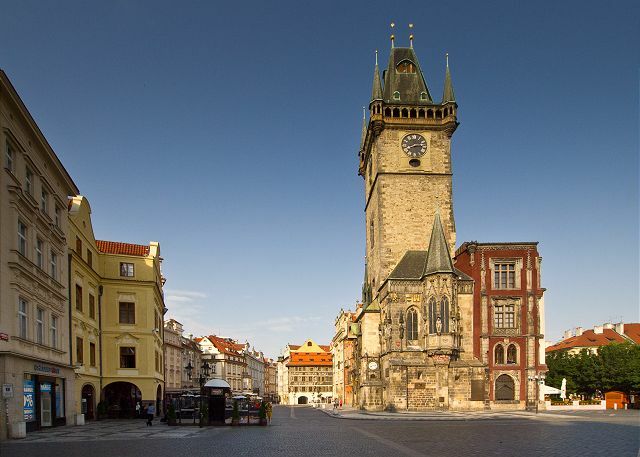 Dado que los concejales de Praga estaban orgullosos de su forma original, por esto tenían miedo de que Hanus construyera un reloj en otra ciudad. Por lo tanto recurrieron a medidas drásticas y le quemaron los ojos a maestro Hanus. Cuando Hanus se enteró de quién y por qué le causó la lesión, fue al ayuntamiento guiado por su ayudante, donde ciego pero experimentado, metió la mano en la máquina, tiró de una palanca dejando el reloj dañado para siempre. Pasaron años antes de que se encontrara a alguien que pudiera repararlo y ponerlo en marcha de nuevo, mientras tanto el silencio del reloj recordó a los concejales su horrible acción. Y una cosita más: la única parte del reloj que no tiene nada que ver con el paso del tiempo, son las imágenes de los apóstoles. Su significado es sólo religioso. It's a very nice and spacious apartment, equipped with everything you need. 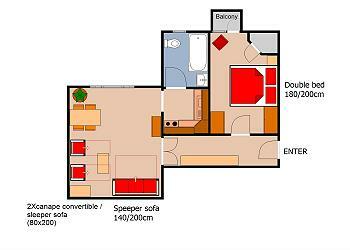 There is not two bedrooms, but one bedroom and a big living room with a convertible sofa. We had a wonderful stay in Prague. 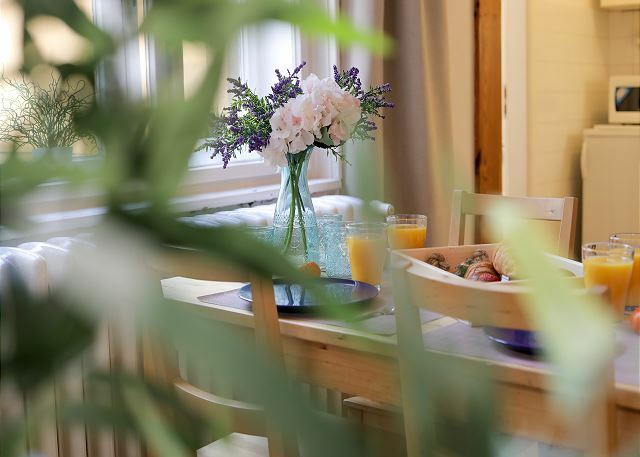 Kaprova is spacious, clean, quiet and fully equipped. 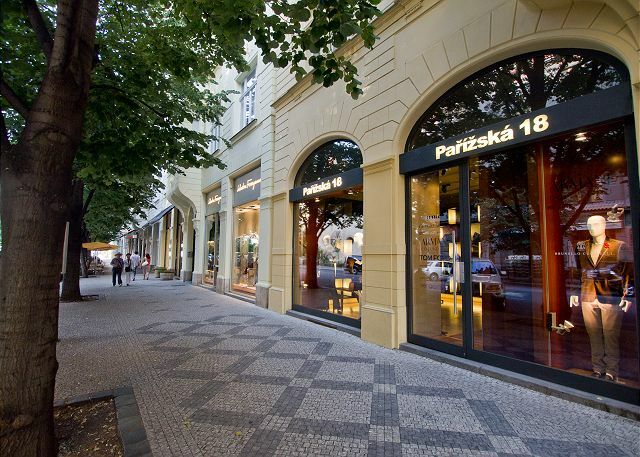 Only one block from Old Town Square, Kaprova is a great home base. I can’t quit praising this apartment to my friends and family. The location alone was unbelievable. So close to Old Town Square and Jewish Auarter and the river. We walked everywhere from our apartment. The apartment was clean and had everything we needed. The mobile WiFi was a nice surprise. The building is very safe. The management company made this vacation so easy for us. Do not think twice about renting this apartment! Grab it now!! Biancheria da letto e da bagno non pulita. Retengo has a great and welcoming team. 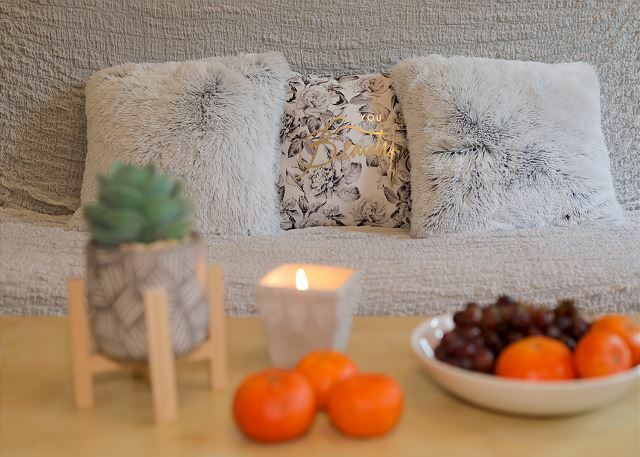 The flat is cozy and fully furnished. Bel appartement, confortable, calme, très bien situé en plein Centre historique de Prague. 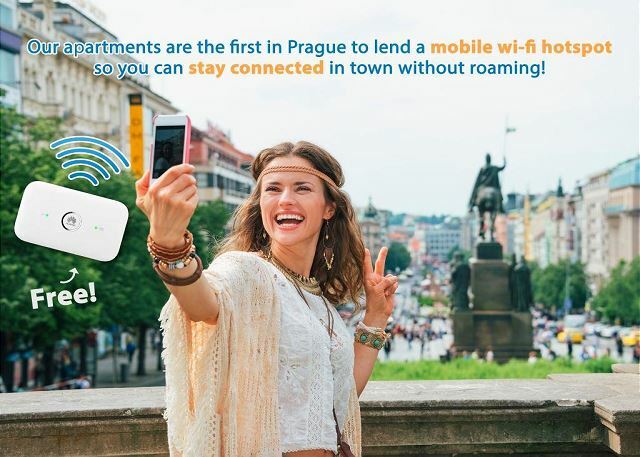 I am writing this note to let everyone know out there that this company Rentego has the best places to stay in Prague. I stayed in three different apts. at three different location and each and everyone of them was great. The apts. were clean, great location and affordable. I dealt with representative Miss Martina who was totally professional and helpful. In a few words I highly recommend these apts. Absolutely fantastic apts. to stay in Prague. The management company provided exemplary service. The location of the flat was superb. We recommend this flat! we really liked the flat spacious and well heated . too bad there was no french channel so we had to improve our English ! The apartment was huge, even it could be available for six people. It is well equiped, clean, and the location couldn't be better. The price is affordable but it was a little unconvinience that the extra cleaning fee wasn't included in the price we could see on 's webpage. Great place, central location, responsive management. The only odd thing was having to get the building entry door fob in the mail to the USA, which didn't show up before we left. However, management made sure we got in. Nous avons passé 4 nuits géniales en famille dans cet appartement très bien placé. Tout y est, même la machine à laver, un vrai plus avec des enfants ! Nous reviendrons ! The apartment we rented was very nice and perfectly located. Close to everything. plus it was so easy to communicate with the owners! they reply very fast and are very kind. if I go back to Prague, I will try to get the same apart. The apartment was very spacious and well equipped. It is listed as a 2 bedroom but there is only one bedroom with a futon in the living room. Kitchen was well equipped and the shower water pressure was good. There is a washer as well. There is a small elevator so no lugging suitcases up 5 flights of stairs. The location is fantastic, right around the corner from the Old Town Square. Perfect if you don’t have a car. If you do have a car, the parking lot is about a 10 minute walk away. Reserve in advance for the length of your stay. I highly recommend this unit. The management was very helpful and responded quickly to questions. Very pleasant to deal with. 5 star rating. My husband and I spent five nights in the Kaprova apartment. 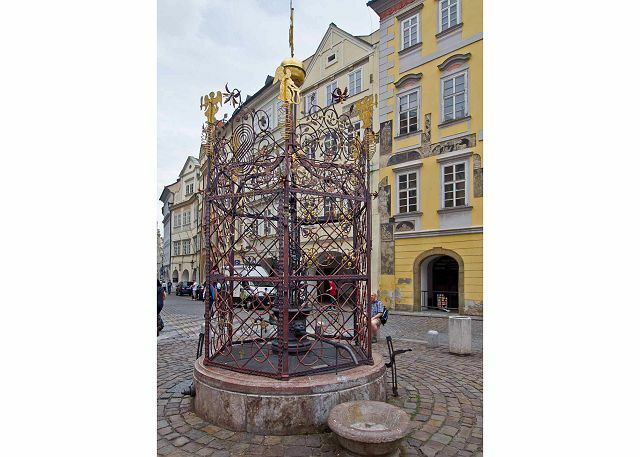 The location was ideal, a short walk to most of the city's sights—astronomical clock, Old Town Square, Jewish Quarter—and an easy Metro ride to others. The amenities were excellent and the apartment was clean. The mobile WiFi hot spot was extremely helpful! We had an outstanding meal at the nearby Kolonial restaurant. We highly recommend this property. This was a warm and inviting home in the heart of Prague -- just steps away from Old Town Square and all the best of the city. Everything was a stroll away. And the apartment was just as described and pictured. Large, sunny windows, high ceilings and fresh furnishings, plus everything we needed for cooking and a little laundry, great wireless, and super easy check-in and check-out. You'll love it here. 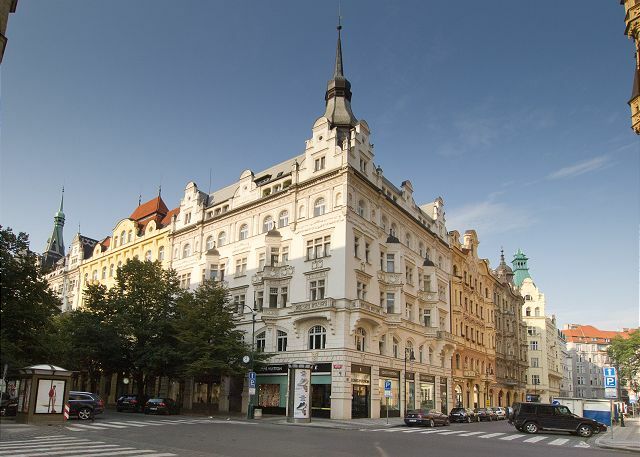 El apartamento esta en el centro turístico de Praga lo que te permite desplazarte a pie por toda la ciudad. Las dimensiones son adecuadas para 4 personas y estaba limpio. Me hubiera gustado que tuviera vistas a la calle, aunque por otro lado, es muy silencioso si viajas con niños. This apartment is in a great location. Casa spaziosa, luminosa, pulita e dotata di tutti i comfort necessari. Si trova in posizione centralissima, a qualche decina di metri dalla piazza della città vecchia e dal famoso orologio astronomico, quindi vicina a tutti gli altri siti di interesse. Nelle adiacenze si trovano minimarket, ristoranti, uff. cambio, uff. postale, bar, ecc.. Riassumendo, un soggiorno ottimo da tutti i punti di vista. Appartement grand et clair, bien équipé et très propre. Tout est fait pour faciliter le séjour des locataires. Les heures de check-in et check-out sont adaptées aux horaires des avions, dans la mesure du possible. L'appartement est idéalement situé dans le centre historique, près du métros (ligne venant de l'aéroport après avoir pris le bus 119). 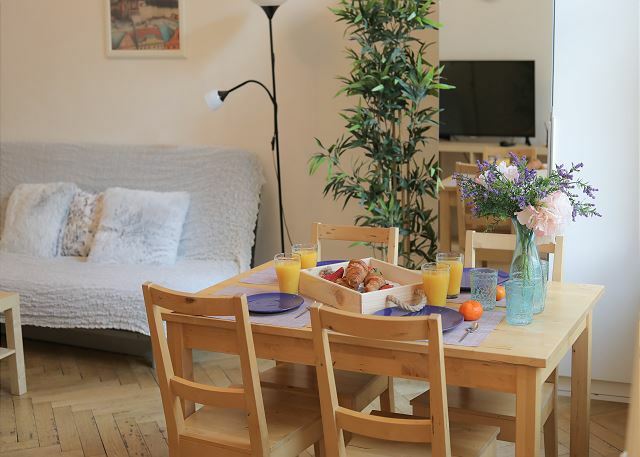 This one bedroom apartment is right next to the Old Square, which makes it the ideal location for exploring this beautiful city on foot. Everything is remarkably close by. Location is key to enjoying your holiday! 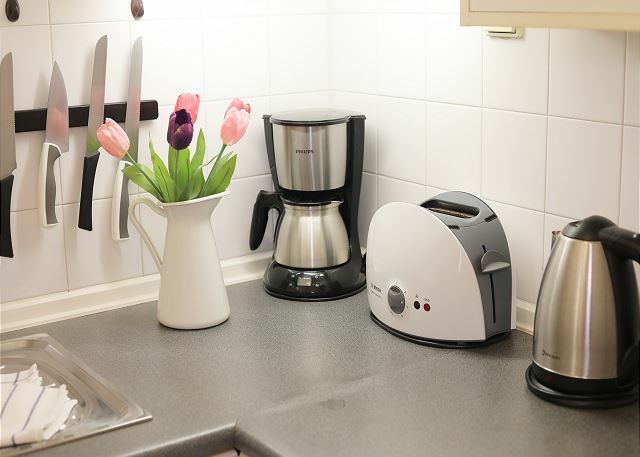 Other than which, the apartment itself is quite comfortable and airy, with more than adequate linen and kitchen utensils to deal with regular use. The availability of the WiFi HotSpot was also an excellent idea, and helped in many ways. It wasn't air conditioned, and Prague was unseasonably warm when we went there, but other than that it was perfect. In addition, whenever we had any queries or concerns, the management was more than prompt, responding very positively almost instantly. Vše bylo v porádku. OK.
We had a good stay at Kaprova 14. The location was wonderful, just a block away from the biggest square in Prague and one block in the other direction from the Metro. It proved to be very easy to take the Metro and the 119 bus to the airport as we left. Everything was clean and organized in the apartment. Our only complaints were that the chairs in the main room, which are pull-out beds, were not very comfortable. And though this is described as a two-bedroom place, one of the "bedrooms" is the main sitting area. Those staying in the bedroom have to pass through that room to reach the bathroom. That was no problem for the two of us staying there but might have been awkward had we had others staying with us. siamo stati a Praga e soggiornare a due passi dall'orologio astronomico è stato fantastico poi la posizione dell'appartamento è davvero ideale poiché si raggiunge a piedi tutto quello che c'è da visitare e da vedere, inoltre la pulizia è soddisfacente. Unica pecca la mancanza di risposta su alcuni quesiti e sulle telerie visto che eravamo in cinque e non in quattro. 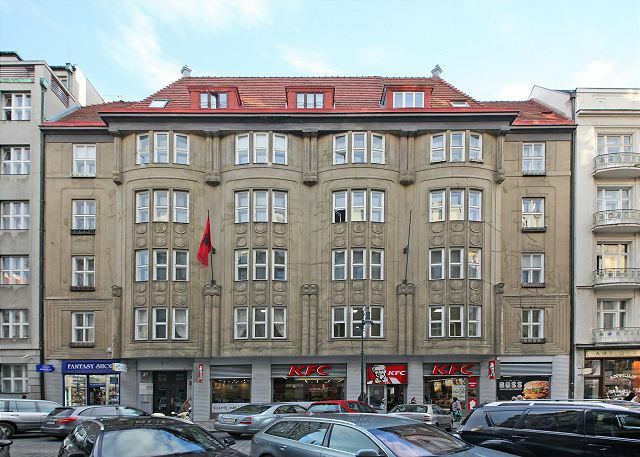 This apartment is in a great location - one block from Old Town Square. There are plenty of restaurants, markets, and ATMs in the area. The apartment was clean and well maintained. No shortage of places to plug-in electronics. You can play videos or Netflix on the TV, if you bring an HDMI cable with you. There are clearly written instructions for everything in the apartment. I used the car service arranged by the property owners and had smooth airport transfers. The elevator worked, the kitchen appliances worked, the radiators worked, hot water worked, washing machine worked, freezer made ice fast – overall everything worked and made for an enjoyable stay. 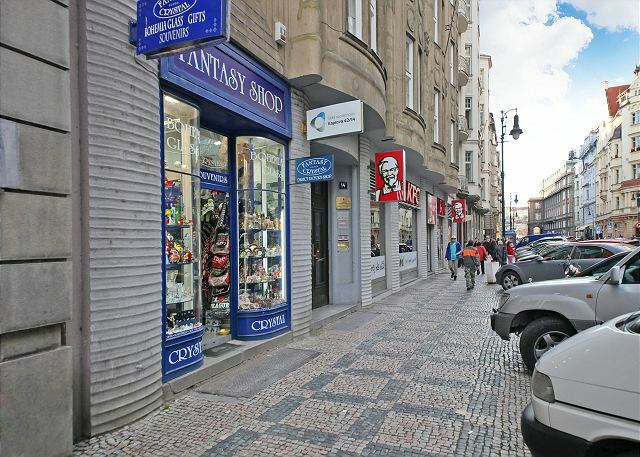 Super location, clean, quite close to all the attractions in Prague! Can't beat location and price! Excellent stay...right around the corner from Old Town Square...minutes to walk to all the sights. Apartment was clean and very well equipped although basic. Great stay...great lodgings...great city! Très satisfaite de cette seconde expérience avec RenteGo. Toujours aussi professionnel et attentif à ses clients. The location just at the corner of Theo ld Town square was just perfect. Nice and confortable flat with all the necessary équipement. Also good airport pick pu und retire service. We recommand the Rentego service. appartement très bien placé, personnel rentego très professionnel. A recommander. Stayed in Czech for 2 weeks and had the Kaprova location as our home base where we lodged. We were 4 adults. The best part was the location is by all important historic points of interest and transportation. Unfortunately it was very hot and on the fourth floor . It wouldn't even cool down in the evening. We stayed in first two weeks of September. The shower/bathtub combo was very difficult to use. My elderly mother of 86 fell and slipped between the tub and washing machine flipping her toe back and it turned all blue. I was afraid of that since it was not a modern walk in shower. We are Czech and American. We couldn't watch but 4 TV channels in English . We would have liked some Czech TV but not one was offered ! Most where German, Arab or Russian! A representative never came to see how we were doing. The maid did bring more towels and sheets upon my request . It wasn't very comfortable but we had to make it work . We are familiar with European travel and have been traveling for over 30 years. This was probably my mothers last trip to her home land and my nephews first. Thank you very much Anna for your review, we are glad you were satisfied with the location of KAPROVA! We would appreciate if you could specify what exactly should be improved on cleaning, don't hesitate to contact us on with more details. 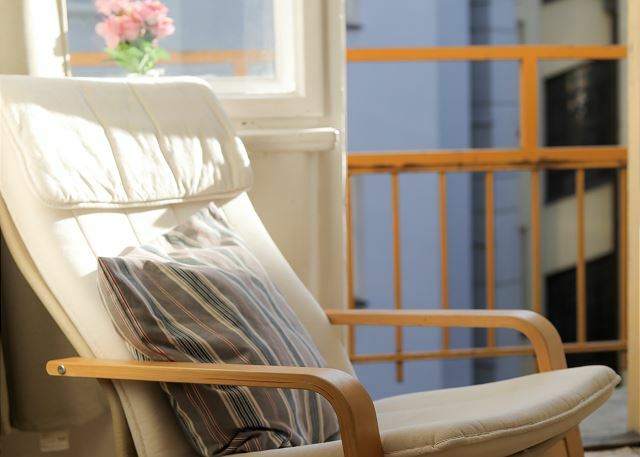 For hot summer days we provide fans in each of our apartments, which are usually sufficient. Otherwise we hope you had a pleasant stay and we will be happy to host you next time you're in Prague! We were very lucky. The apartment was in perfect location. 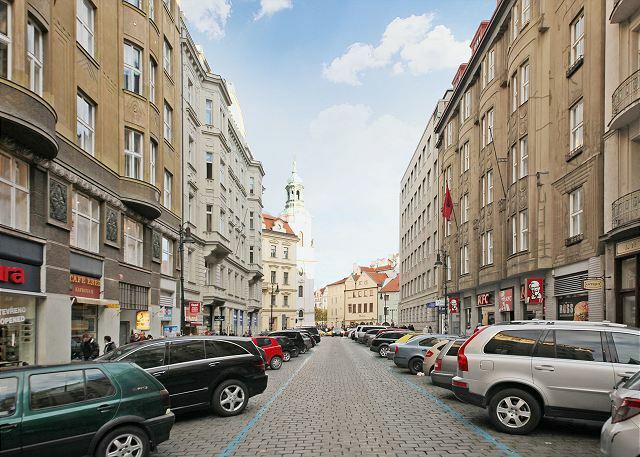 Near everything (old town square - karlovy mest - supermarket-restaurants-metro etc). It was spacious - clean-fully equipped - with good quality of furniture - wifi - portable internet. Only bathroom needs renovation. We had a professional management service. We would highly recommend it to our friends. a) restaurants as we had special meals in LOCAL/NASE-MASO/SISTERS/SAVOY/PASTAFRESCA etc. b) visiting parks -na kampe island -rent river bike. The location was fantastic!! The building was not very good. The shower, if it could be called that (the shower head was only about 3 feet above the tub) did not work at all. No amount of effort could route the water from the tap through to the shower , no showers for 4 days. As well, the elevator was very sporadic in operation.. to the point where my wife was stuck unit for about 20 minutes on our way to the airport. Our poor driver (Damen?) probably didn't make it back in rush hour for his next pickup. Although we loved the location we could not recommend it to anyone unless these issues were addressed..
Next time in Praha, we'll choose Kaprova again ! 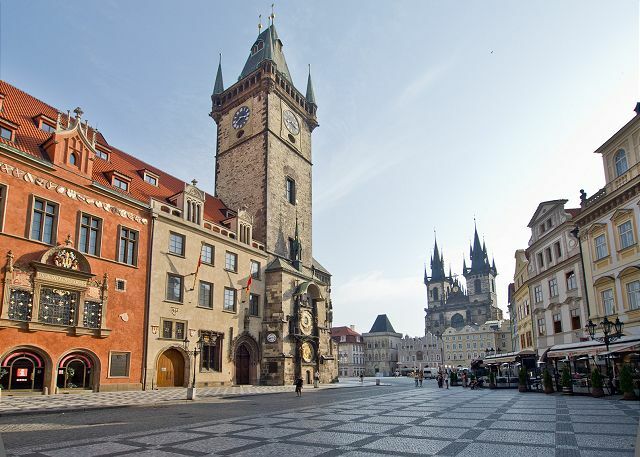 Perfectly located : 5mn to Praha Astronomical Clock, 10 mn to Charles bridge, ... Kaprova is a safe, comfortable, well equipped appart. Quality of service delivered by Rentego is close to perfect. For sure ... we w'll come again to Praha ! Apt was in a great location for our 9-day Prague holiday: steps from Metro; easy walk to all Old Town, Lesser Town, Jewish Quarter, New Town attractions. Rent-e-Go staff were FANTASTIC from query, booking to check-in & out. L'appartement était très bien situé, propre et le système d'envoi des clés à domicile est très pratique! Merci beaucoup, nous sommes heureux que vous étiez satisfait de nos services. À la prochaine! Merci beaucoup. Nous sommes heureux d'entendre que vous avez passé un agréable séjour à Prague. À la prochaine! Very Nice Early Easter holiday in Praha. We give our best recommendation to Rentego. The appartment is just as expected, and they give a good service and helpfull adwise if any problem should occur. Just call them. Thank you very much Morten! We would be happy to host you during your next visit. This apartment on Kaprova street could not be located any more convenient for someone visiting Prague as tourist, everything is steps away. The apartment is big, clean and comfortable. Tout s'est passer comme prévue je recommande rentego ???? ????? ??????? ????????????, ? ??????????? ????? ??????? ??????, ? ???????????????? ???????? ?? ???????? ???????????? ???? ? ?????. ??? ? ??????? ???????????, ? ????? ?????? ? ?????. ???????? ????? ???????? ?????? ??????? ??????? ??????. 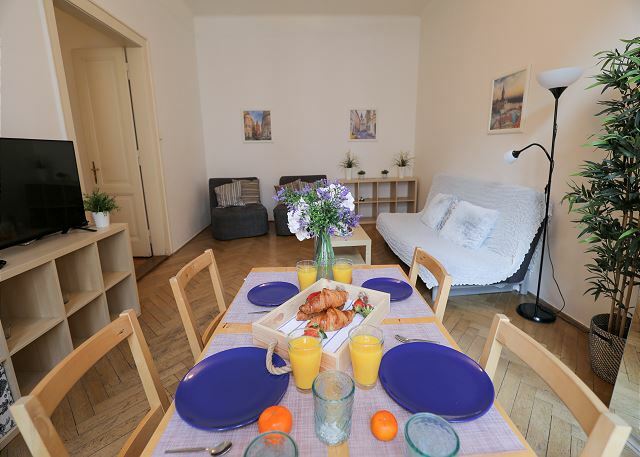 We haved booked the Krapova appartement for discover Prague during the new year period. We was 5 from Lyon. The indication from rentego was very helpfull. I received the key as it was indicated. We have checked in at 13h without problem. The appartment is cery well placed in the center. L'APPARTAMENTO MOLTO COMODO, CON TUTTO NECESSARIO; POSIZIONE PERFETTA,IN CENTRO DI PRAGA. Thanks a lot, Bruno! We are really pleased to hear that :) Feel free to contact us for any of your next journeys to Prague. Appartement très bien situé à quelques minutes de la vieille place et du métro. We were five adults (our familiy) and stayed for three days in the flat. It was perfect for us because very close to the centre and we were able to cook something in the well equipped kitchen and had breakfast. In the close proximity were a little supermarket and all the famous locations were accessible on foot. Thank you, Martha. It has been a pleasure to host you. Great location for seeing all the sights. There were 4 of us, 2 adults, 2 college kids. We were all able to be close to the things we wanted to do. The whole process was very convenient. Rent to go sent us our key to the states with easy instructions on how to get there. Would give them 5 stars except the shower is a poor set up. The apartment was great. The rooms are good size, the bed was comfortable and the location was AMAZING! We were right in the middle of everything. Our vacation rental was quire accommodating for four people. 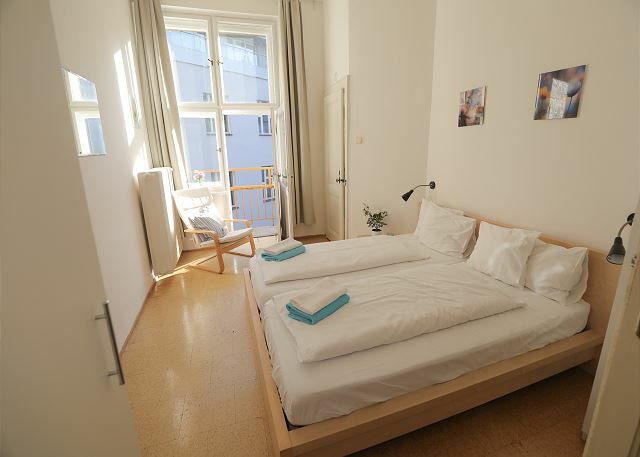 It was spacious, clean and extremely close to the Old Town Square. Although close to the centre of Prague it was very quiet given its location on the inner court. Furnishings and supplies available met our needs. We only had one mishap with the toilet for which we were able to reach Rentego quickly and it was addressed in a couple of days with an alternate solution in the interim. The Rentego team were very professional, prompt in responding and easy to deal with. I would recommend this vacation rental to friends and colleagues. Desde el primer trámite de alquiler del apartamento hasta el último todo ha sido muy fácil y con posibilidad de un diálogo fluido. El apartamento muty bien, sobre todo su localización. Sin duda para recomendar a los amigos. Awesome location, good quality, totally worth it! We will be back and we will rent a place through Rentego. Very positive experience. Most notably was the responsiveness of the Rentego management team to inquiries and anything else related to our stay, both prioir to and during our visit. 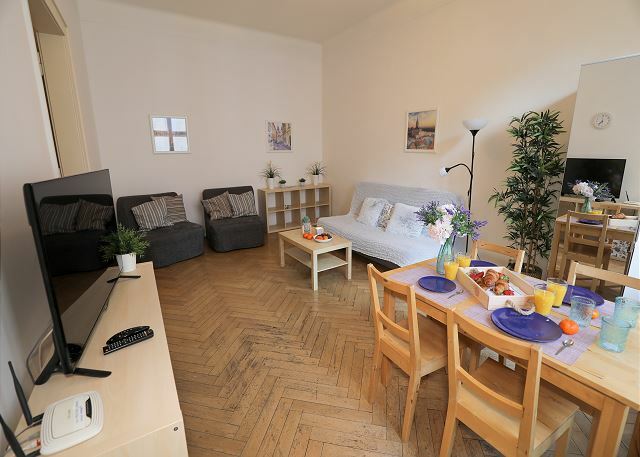 logement correspondant parfaitement au descrpitif avec un emplacement idéal pour visiter Prague à pied . 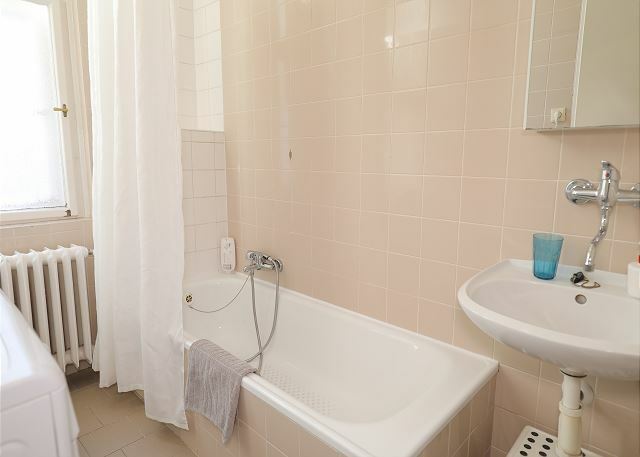 Cuisine avec de la vaisselle en quantité suffisante ,salle de bain assez grande,beau coin salon et chambre des parents grande . Service Rentego parfait avec réception de la clé au domocile comme prévue et visite trés rapide du technicien pour débloquer le rideau de la chambre . Par contre ,il faudrait revoir ce rideau car difficile à fermer ou ouvrir . This apartment is in a brilliant location, just 3 minutes walk from the main square. It is huge, light, and airy, with lift access. As it faces an inner courtyard, it's also very quiet. It was fitted with everything we needed, including a well-appointed kitchen. 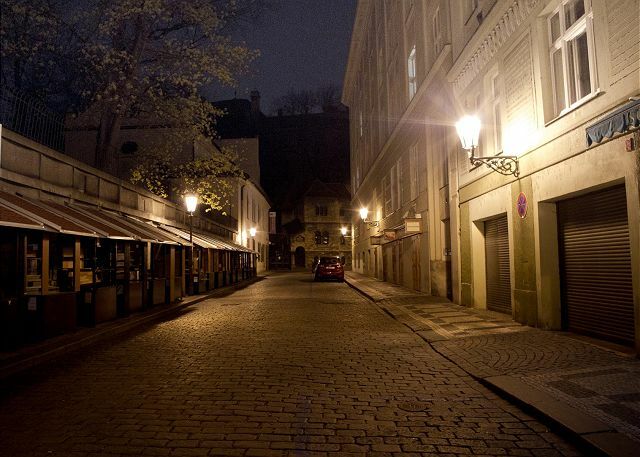 There's no TV, but why watch television with so much of Prague right on your doorstep? I will definitely stay here again in the future. Nous avons passé 5 jours/4 nuits à Pragues. Aucun soucis avec le logement KAPROVA conforme au descriptif et idéalement placé à quelques centaines de mètres de la vielle ville . It was our first holiday in Czech Republic. People are sweetie, Prague is one of the best place we have ever visited. Appartement idéalement situé dans le centre historique de Prague. Très calme et bonnes prestations.Y avons séjourné 3 jours fin novembre,bon rapport qualité/prix. Réservation très facile grâce à l'accueil et la réactivité de l'agence. A choisir sans hésiter. Nice to feel like Home ! Nous avons été très satisfait de cette location , situation géographique exceptionnelle, confort satisfaisant. Lors d'u prochain voyage, nous essaierons de retrouver cet organisme. Tout pour l'accueil, le service chauffeur à l'aéroport impeccable. Dear Bob, we are sorry for the impression you got from Kaprova apartment, which is one of our best sellers. We agree it´s not a luxurious place, but RENTEGO does not sell luxury:-) (we offer a 3 star standard in the best location of a European capital). However we do take all your points in consideration and will try to fix and improve all we can inside the apartment. I find a bit unfair, though, your low "Service from rental manager" evaluation. As far as I can check and remember, our team always answered fully and promptly all your questions regarding the reservation, restaurants, laundromats etc.. and as usual tried to provide the best client service skills :-). only one downside, the wifi did not work. Otherwise everything was perfect. 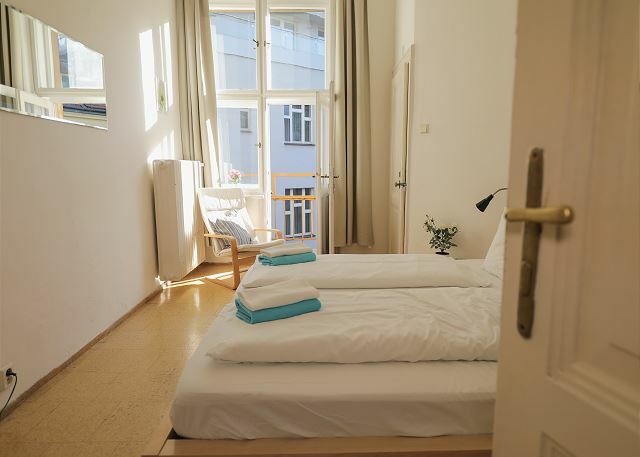 The apartment is ideally placed to visit Prague and is very quiet. I suggest you get transfer from airport (50 euros), less expensive than taking a taxi. The location af the appartment is great. The management company was professional. 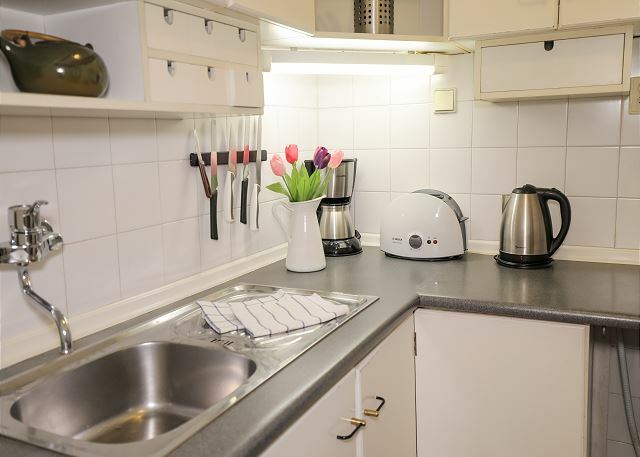 The kitchen was alittle bit too small, but OK.
Kaprova is a perfect central location to visit old city, Charles bridge, Mala Strana ...The appartement was very quiet to rest after a full day visit (back side of the building, no noise). 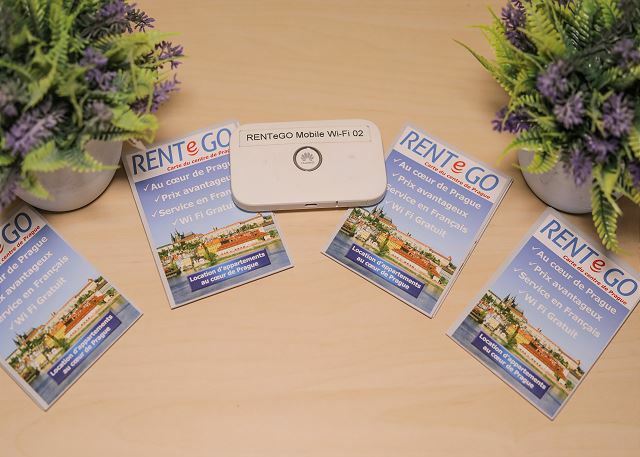 All the service from Rentego is perfect (booking, information). Kaprova in Prague : a good adress ! Great Location. Small grocery was on the corner nearby. Basic items. Loved our visit and stay. Everything was perfect. Absolutely great location, couldn't be better! In the middle of everything and everywhere, really no need to take the tram or metro to visit main sites. Quite spacious. 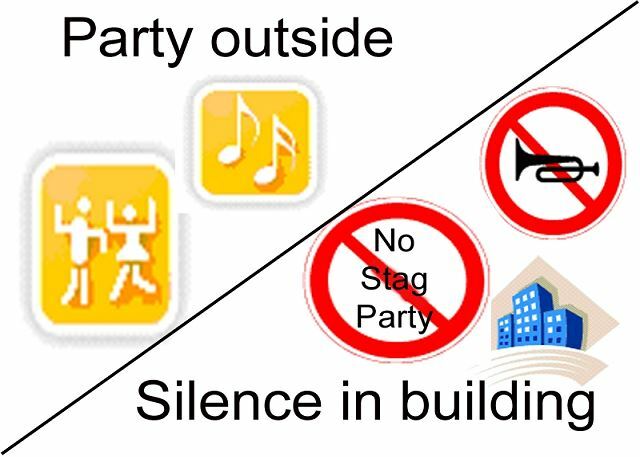 No noisy neighbors since most of the other tenants were offices (lawyers etc- so no one during the evening). Ideal for us, a couple with a 3 year old child. Check-in et chek-out très bien, on a même laisser nos bagages après le check-out sans soucis. Je le recommanderais à mes amis pour visiter Prague. Excellent location seconds away from Old Town Square. Rentego were very helpful & efficient, attending to our numerous enquiries with great patience. We also used their airport pickup which was equally prompt & helpful. Would not hesitate to go with them again if I ever make it back to Prague. Great location and customer-friendly staff! Communication with Rentego was great, the apartment was in a fantastic location allowing us to walk everywhere, and the price was right! The location could not have been better--you rolled out of the apartment and into Old Town Square. Although there were a couple of technical snags, the management dealt with them efficiently. They were very flexible and responsive to our needs. A spacious flat close to everything with a very good management of services. Very easy to book via Internet. No surprise with Rentego. 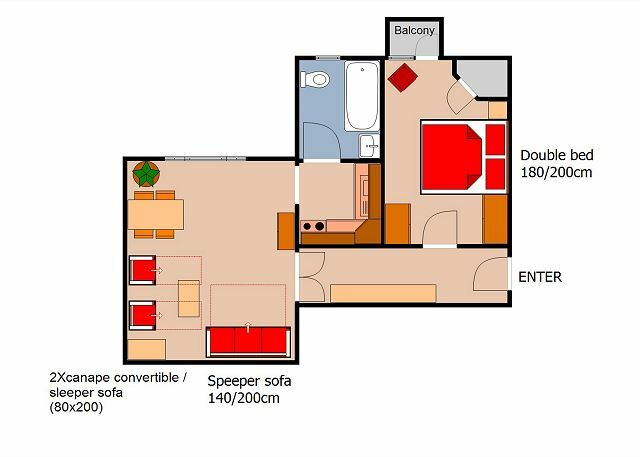 Appartment very well located near with all Pragues spots. An excellent stay in family ! 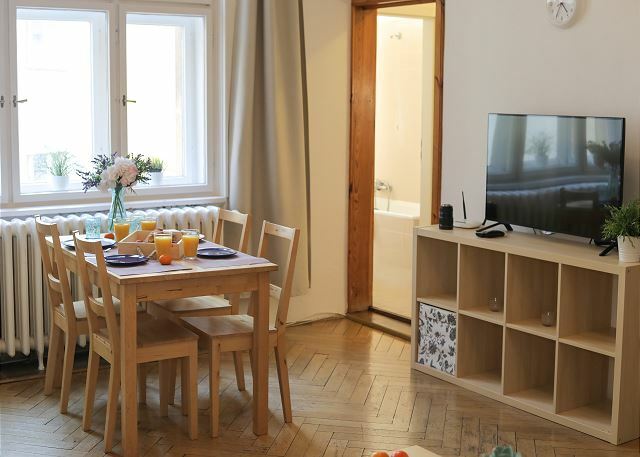 We spent an excellent stay in this beautiful apartment, spacious, clean, peace and ideally situated in Prague. 4 floors are high, but all the conveniences are near. Thank you RENTeGO and his Team. Nous sommes partis a Pragues avec 4 étudiants pour pouvoir visiter cette très belle ville et y decouvrir la vie nocturne. La situation de l'appartement nous a permis de tout faire à pieds ce qui est pratique la nuit quand il n'y a plus de metro/tram/bus. Appartement spacieux, propre et bien situé. Les clés ont été envoyées à l'avance, l'accès à été aménagé en fonction de l'horaire de nos avions. Très pros, à conseiller sans réserve. L'emplacement de l'appartement est vraiment central et idéal pour découvrir Prague à pied. Il faisait beau mais très froid et l'appartement était bien chauffé. Bon équipement. Nous recommandons cette location. Nota : tout a bien fonctionné : la clé extérieure, le code et l'ascenseur (attention à la cellule photoélectrique). Globalement on recommande (bon rapport qualité/prix). As already mentionned in the local questionnary, we enjoy our stay thank to your professionnalism, and will recommend you to relations (already done in fact!) Thank again. Very nice apartment, very well located just at the center of (one of) the most beautiful town in the universe. I recommend your company to all your friends priposeschenii Prague. I regret that I can not use your service in other countries and cities of Europe. Many thanks and a bow for the quality of service! Excellent location, some ugly furnitures to renew. Bookshelves, chairs and 1 pouffe have to be changed or removed. Other - Debajo de la cama hay un colchón extra. Si desea usarlo, traiga su propio saco de dormir, por favor. Apartamento idealmente situado en el corazón del casco antiguo de Praga, en un edificio histórico a medio camino entre el Puente de Carlos y la Plaza de la Ciudad Vieja. A pocos minutos a pie de los principales lugares de interés. Transporte información sobre el transfer en Praga Haga clic aqui. 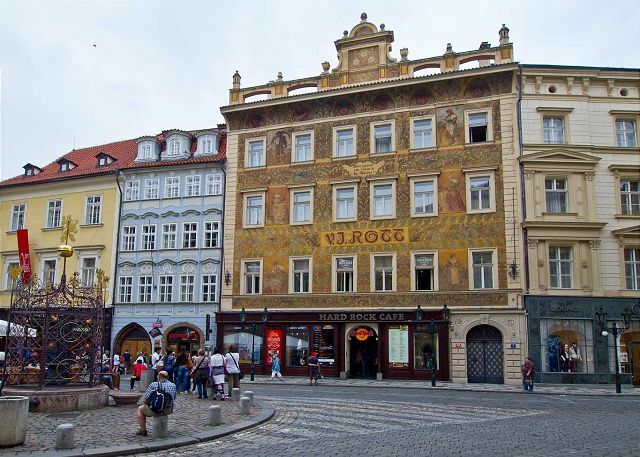 RENTeGO Praga está autorizada por iEscapia Vacation Rental Software | Software desarrollado por VR-Booster - - Vacation Rental Software Booster y COEX. Algunas fotos son propiedad de Czechtourism, a quienes les agradecemos. Tras son propiedad de Rentego. Rentego s.r.o. está registrada en el registro de compañías checas, identificada con el número 271 30 819. Nuestros departamentos están todos en Praga 1 y/o Mala Strana. 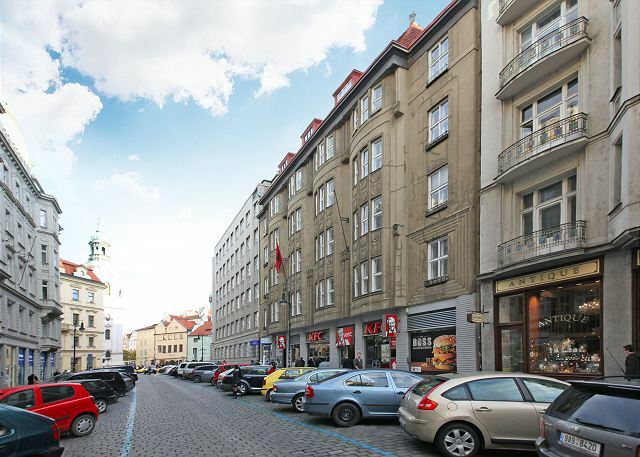 Dirección de la oficina: Ujezd 5, Prague - Mala Strana, 15000. (reunion previo acuerdo).